Yes, amazingly, somehow even Swine Flu has gotten caught up in Jewish politics. According to this story in Ha'aretz, Ultra-Orthodox Deputy Health Minister Yakov Litzman on Monday declared that Israel would call the new potentially deadly disease that has already struck two continents 'Mexico Flu,' rather than 'Swine Flu, as pigs are not kosher. 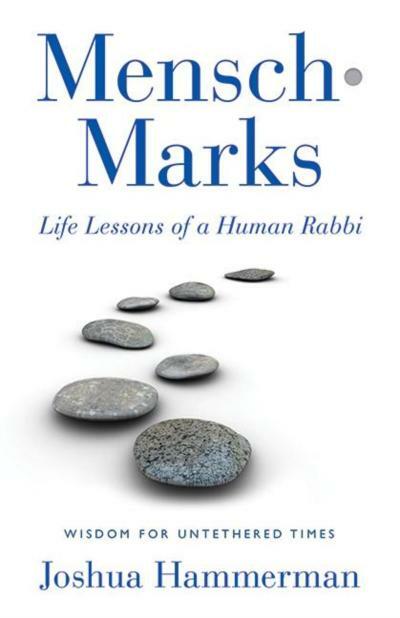 I understand that Minister Litzman has also declared that "hamsters" must now be called "gerbils-on-steroids," and that even my name needs to be changed, to "Harem-man" to eliminate the possibility of associating the word "ham" with anyone Jewish (let alone a rabbi, which, thankfully, he would not consider me to be). Not that I mind being associated with a"harem," although I'm very happily married, but I know that "harem" is exceedingly close to "herem," excommunication, which is undoubtedly what he would like to do to anyone who has "ham" in his name. Can you imagine going to Israel next Purim and discovering that Haman's name has actually been blacked out of every Megilla in the country, fulfilling two commandments at once (in Litzman's eye): to blot out both the villain's name and the mere mention of ham. 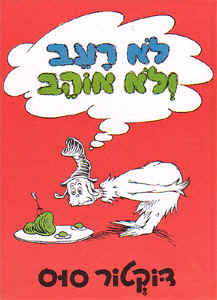 Did you know that the Doctor Seuss book in Israel is called "I Am Not Hungry - I Do Not Like?" But at least the pictures look the same. Litzman wanted to go as far as to ban Dr. Seuss entirely, since his name in Hebrew means "horse," another unkosher animal. "I do not like ham, nor do I like clam," Litzman said, declaring the entire mollusk phylum off limits in Israel. "I do not like them with lamb chops, I do not like them with a bissel schnapps." He was particularly peeved when he heard that some octopi were seen sneaking into the country cleverly disguised as Hanukkah lamps. So what do the people of Mexico think of all this? Considering that their tourism industry at this point rivals Gaza's ("Great beaches, if you can stand the murder and mayhem"), I don't think they will take too well to having a frightening disease named for their country. Just ask the Lyme, Connecticut Chamber of Commerce about that. According to one blogger, in retaliation, Mexico announced that it will now start referring to Manischewitz as "Jew Juice." There has been, as yet, no rebuttal from Litzman, but tequila imports to the Knesset are likely to suffer as a result. Of course this is all a bunch of hazarai, which Yiddish scholars define as "junk food," but comes from the word "hazir," meaning pig. It now has the more general meaning of "junk," or something not fit to eat. That word, too, has been banned by Litzman. In fact, Litzman's new name was heavily criticized by the Mexican ambassador and an Israeli foreign ministry spokesman said "Israel has no intention of giving the flu any new names. It was nothing more than a slip of the tongue." Let's hope that after that tongue sandwich, Litzman waited at least three hours before having dairy. I would suggest that he eat some crow too, but Israelis we are not allowed to say "crow" anymore, since they aren't kosher. They call them "very dark chickens."